Portuguese-Style Clam Chowder is in a class all of it’s own. We just love the cream-based New England Clam Chowder, but we also really love tomato-based clam chowder. and this Portuguese-Style Clam Chowder is incredible. The flavors are bold, but yet so incredibly comforting. This is a chowder you’ll want to make again and again. 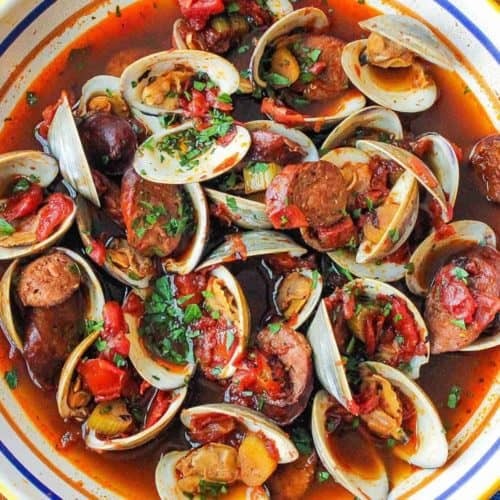 This recipe is a Massachusetts classic originating with the thriving Portuguese community in the region. Sautéing the tomato paste in the olive oil for 5 minutes really concentrates the tomato flavor and adds such depth. Building the flavor profile with smoked paprika, thyme and oregano is just amazing. Fresh fennel adds a wonderful depth to the chowder as well. Fennel is one of our most favorite aromatics to cooks with and it works so perfectly in this Portugueses-Style Clam Chowder. Linguica sausage is so flavorful and can be found in specialty food markets, or online. If you can’t find it, smoked chorizo is a great option, since they are both a little spicy and very similar. The nutty Madeira wine adds a beautiful depth to the chowder, as does the fennel and smoked paprika. 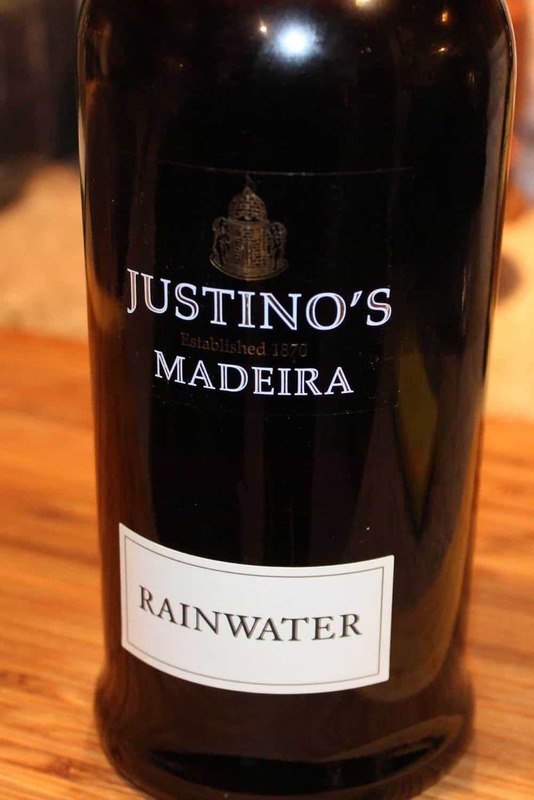 Rainwater Madeira is found in most well-stocked liquor stores. If you can’t find it, you can substitute a nice port, or marsala wine (not sweet), or dry sherry. Bring the sauce, with the roasted tomatoes, herbs, sausage and fennel to simmer. 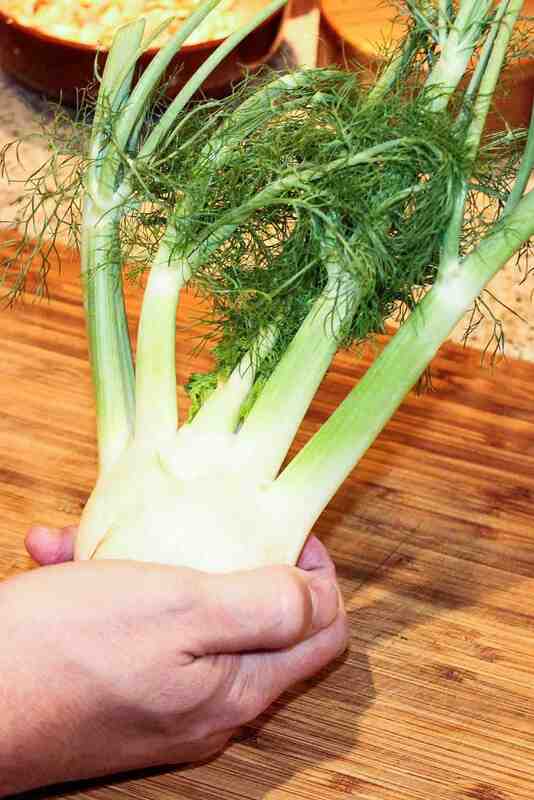 The smell is amazing and only takes about 15 minutes until the fennel is nice and tender. 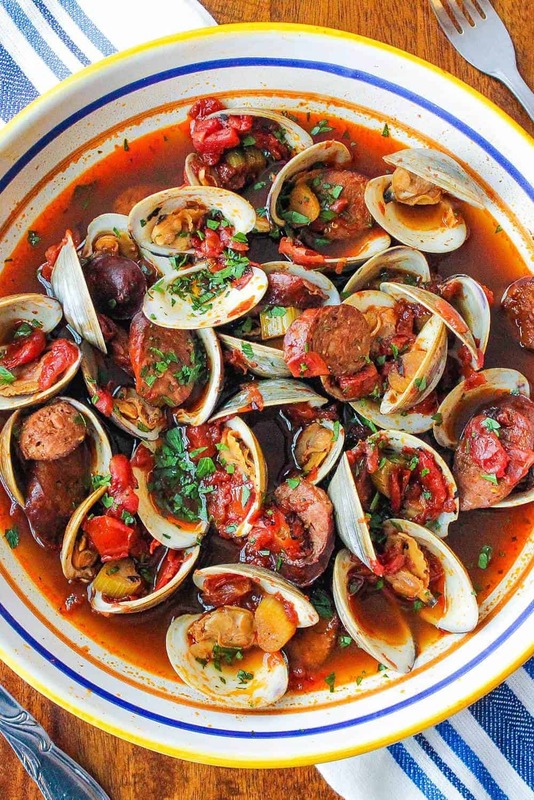 This Portuguese-Style Clam Chowder is so heart-warming. You can make the chowder up to this point, and then save for a couple days before serving. Add the clams and finish just before serving. It only takes the clams 7 minutes to open up in the simmering broth, then you’re ready to eat. Be sure to discard any clams that don’t open. This Portuguese-Style Clam Chowder will warm you to the bones. And it doesn’t take a long time to prepare at all. 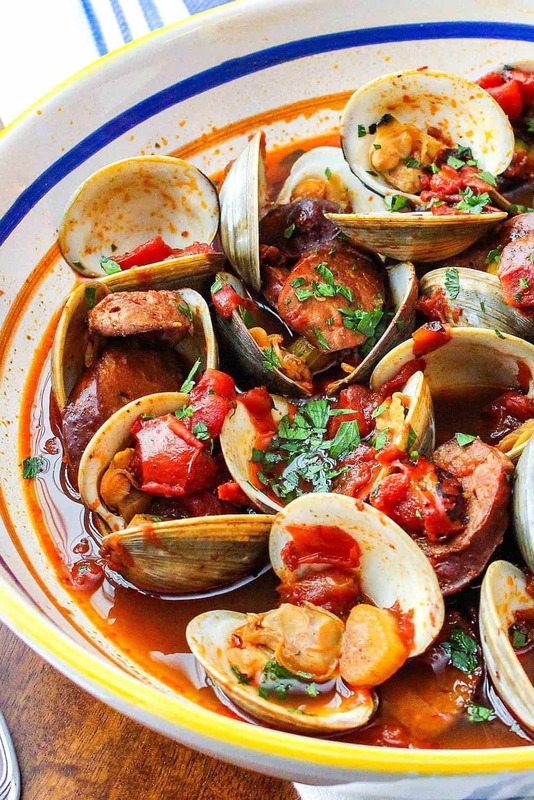 This Portuguese-Style Clam Chowder is just brimming with flavor. So hearty and will warm you to the bone. 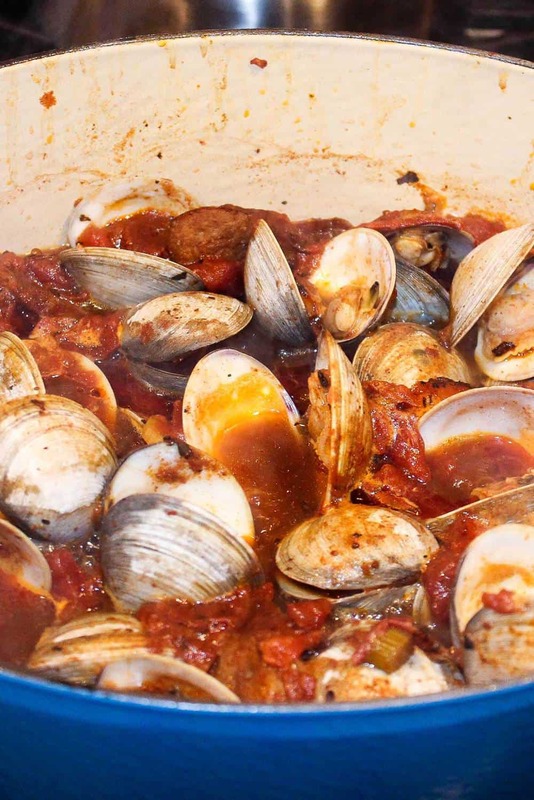 If you are serving to a group, make the broth ahead and then add the clams and finish just before serving. Amazing flavor! Heat 3 tablespoons of the olive oil in a heavy pot over medium-high heat. 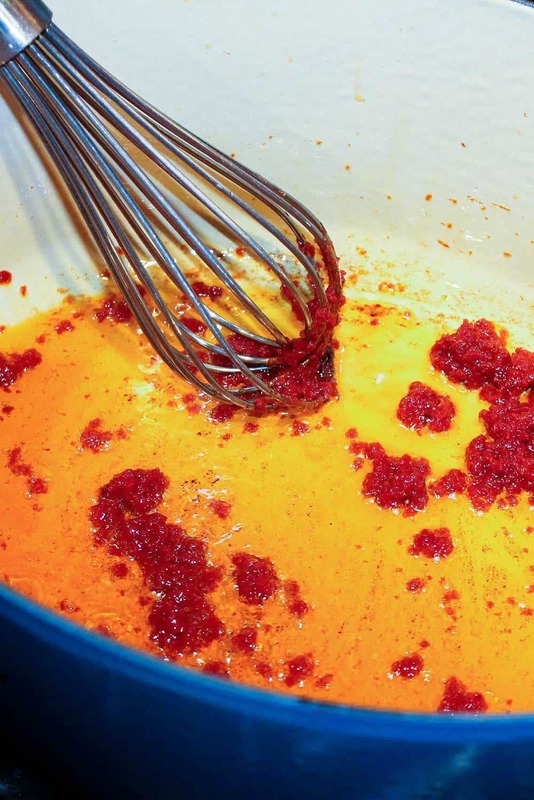 Add the tomato paste and cook, stirring for 5 minutes. Add the paprika, thyme, and oregano and cook until toasted and aromatic, about 1 minute. 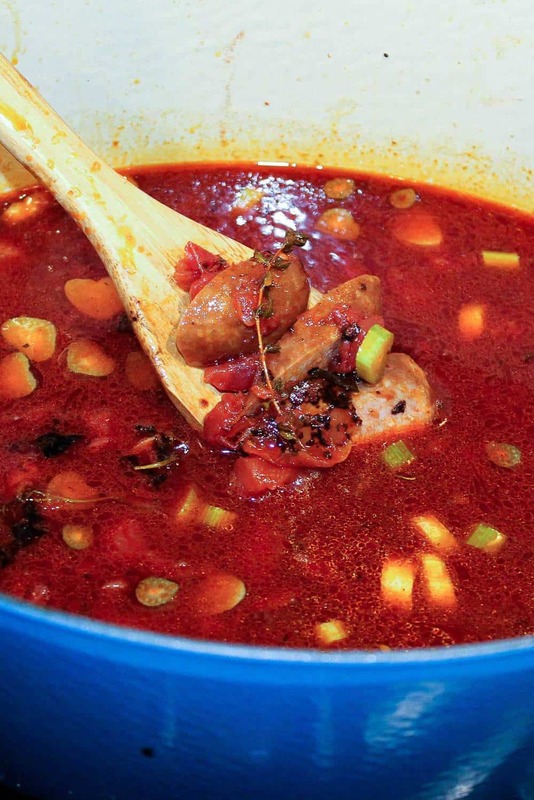 Add the canned tomatoes, water, sausage, and fennel and bring to a simmer and cook until fennel is tender, about 15 minutes. 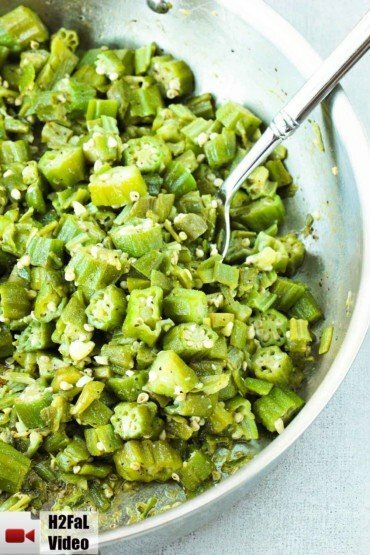 (if making ahead of time, remove from the heat and refrigerate until ready to finish. Reheat gently before proceeding). Add the clams and increase the heat to high. Simmer vigorously until the clams open, 7 to 10 minutes. Stir in the Madeira and vinegar. Divide among 4 bowls and drizzle remaining 2 tablespoons of olive oil over the top. 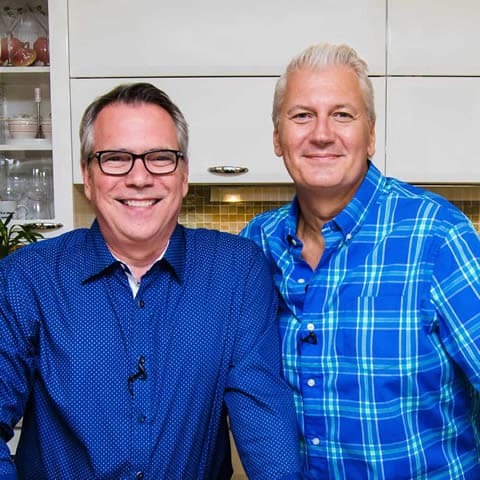 Serve at once!